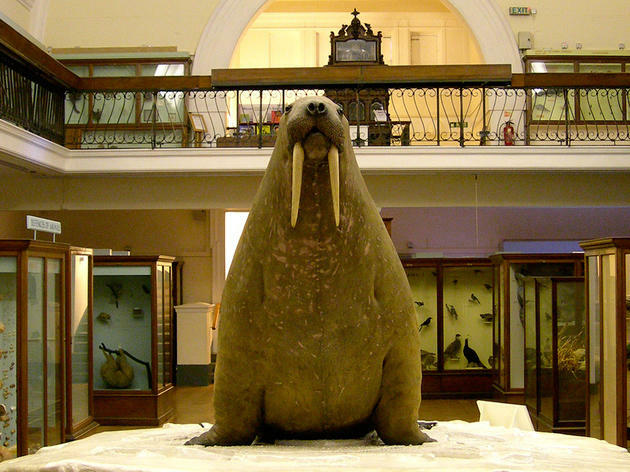 An anthropological museum set in 16 acres of landscaped gardens, the Horniman has a traditional natural history gallery – dominated by a bizarre, overstuffed walrus – where the exhibits are displayed in traditional cases with no computer touch-screens in sight. There's also an aquarium, a permanent gallery dedicated to African, Afro-Caribbean and Brazilian art, and a collection of around 1,600 musical instruments, with an area where people can play some of them and a display ('At Home with Music') where historical keyboards, dating all the way back to a virginals from 1555, are on show. The museum provides extensive facilities for families, including a nature trail, weekend workshops and a hands-on base where children can touch museum objects. Nature Base explores the natural world with exhibits including the Horniman beehive. 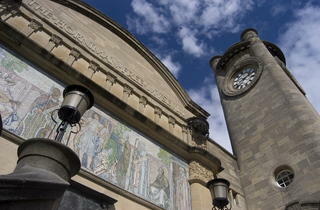 The Horniman museum is a fantastic museum which has plenty for everyone. From an impressive collection of taxidermy to African art, to musical instruments to aquarium, there is something for everyone. The gardens are also beautiful and definitely worth a visit when its sunny. Perfect place to take young children. A really lovely museum for both adults and children. In really lovely gardens, I took two 4 year old boys who surprisingly really enjoyed walking around the botanical garden and asking what each thing was. Really great trip on a sunny day. Interesting and fun free museum in the heart of Forest Hill. The gardens surrounding the museum are stunning, with great views over London, seasonal growing veg and an abundance of flora. The paid for exhibitions are also great, the butterfly house, aquarium and changing exhibition in the main room downstairs. The museum hosts a variety of hands on and craft activities for children over the holidays and the farmers market every Saturday is excellent. An amazing little museum with some really interesting artefacts. The grounds themselves are really lovely. You could be able to spend the whole day there on a really hot summer's day. Unfortunately it attracts a lot of screaming children, which is not my cup of tea at all. This isn’t a museum to go to if you’re after a quiet afternoon of reflection, there are kids running around everywhere marvelling at the taxidermy, but I kind of like it for that - it feels like being on a school trip again. And who doesn’t want to gaze in awe at a life size stuffed walrus? It’s free to walk around the natural history part and you can pay to go to the aquarium and other exhibitions. Step outside and you're greeted with beautiful landscaped gardens and a breathtaking London skyline. This is a great way to while away a Sunday in South London. Took some of our students here on a school trip and it was an excellent day for it! The sun was shining and it was lovely and warm. I hadn't been in a long time so it was a good visit for me too. The Robot Zoo exhibition was fun and there was a variety of games the kids could play. The farm area was also a highlight, with gorgeous alpacas, rabbits and sheep. A great place with loads of open space and a cute cafe and ice cream stall if you haven't brought lunch! This is a great museum. The grounds alone are full of whimsy and wonder with beautiful flowers, a bandstand, musical instruments and a small animal enclosure. Inside the museum there is an interesting array of exhibitions for children of all ages. 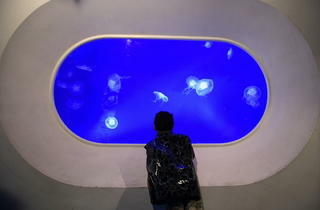 The aquarium is small but perfect for small people with some interesting information as well. 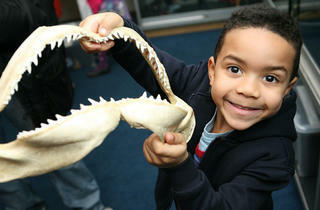 The museum also hosts a number of family friendly events throughout the year. The best museum in london in my humble opinion! I visited many times before I went into the gardens, which is crazy because they are vast and amazing, especially in spring/summer. Often holding markets and family events through the summer its always worth checking the website for details on whats coming up. There is a small farm animal area with a giant bunny and alpaccas which you have to make time for- honestly that bunny is HUGE! 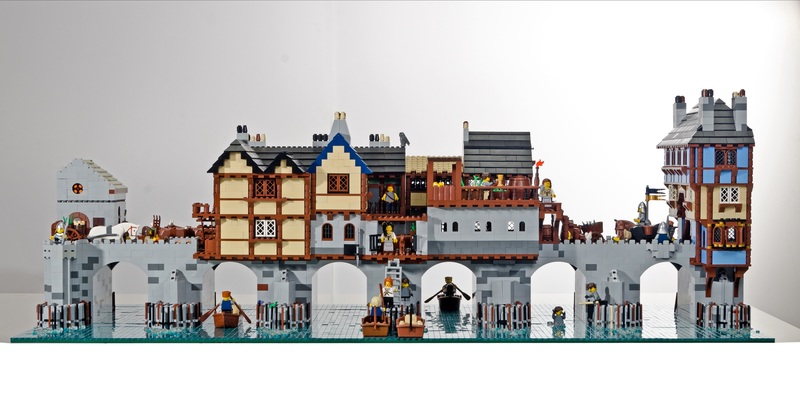 Great, affordable day out for all ages to enjoy! One of my favourite museums! I like to visit whenever there are new exhibitions on as it is local to me but always make the most of the pretty outdoor space and the aquarium that is very popular with little ones. With the sun starting to make an appearance and the farmers market taking place every Saturday I'm sure I will be spending loads more time here in the near future. Wow. I can't believe it took us this long to come here. Easy Overground access and a short walk. Like everyone says, the view of London is quite stunning. They have market here on Saturdays so I already envision coming back and having a picnic on the lawn. They also have some beautiful gardens, which in full bloom, probably look spectacular. We had to go inside and find the walrus-- luckily he is not too hard to find. It was amazing to see all the animals the had on display (TLDR: Victorians loved to kill things and stuff them), and on the top floor some interesting rocks and fossils as well as the Apostles Clock. We did not get a chance to go into the Aquarium but we know we will be back . Awesome way to spend a few hours with kids, on a date, or by yourself. FREE (sans aquarium) but please donate what you can to keep this amazing facility in tip top shape! Outdoors has amazing views of london, beautiful gardens, giant musical instruments which the kids love and a small farm. 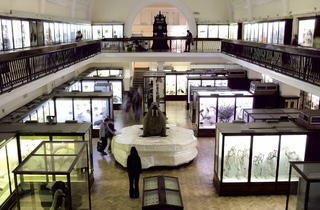 Indoors there are loads of specimens to see! And many interactive stations which keeps children interested. My kids particularly enjoy the music room down stairs where they can roam around a bit and play different instruments. The cafe serves a good selection of fairly priced and good tasting food and has plenty of seating. I can't tell you how many times we have been to this museum. 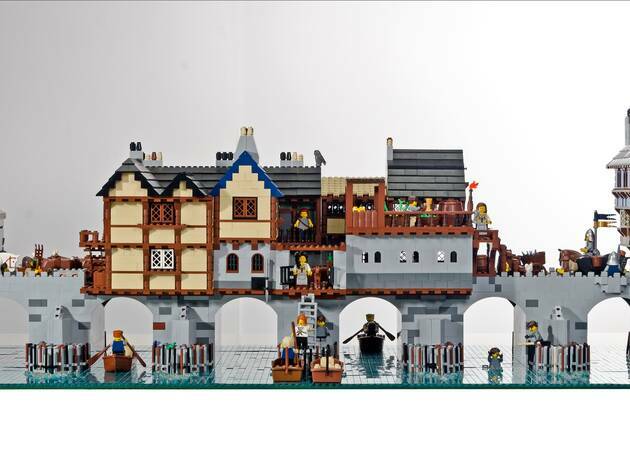 It's our favourite place to visit on a rainy day. If you drive, you will have to look on the near by residential roads for parking. I have never had a problem finding a free space. There is also a bus stop right outside the museum. This eclectic museum offers things to do and see for the whole family. Between an assortment of music instruments, a little aquarium and a taxidermy collection, Horniman will please even the most peculiar tastes of everyone in the family. Don’t hesitate to do a little halt there. The conservatory has been turned into a cute restaurant and there’s even a little farm and playground in the park. All things welcome on a nice afternoon. The bonus? A nice view of London from the park. 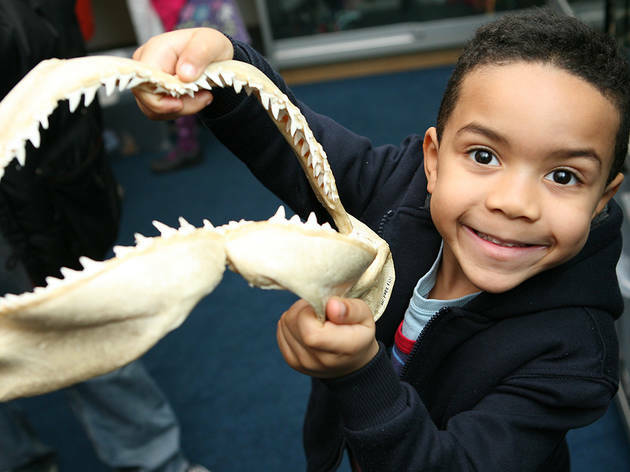 The Horniman Museum is a long way to go if you live in North or West London and if you have children in tow as well, you might be better off visiting places locally before making a trek to the other side of town. 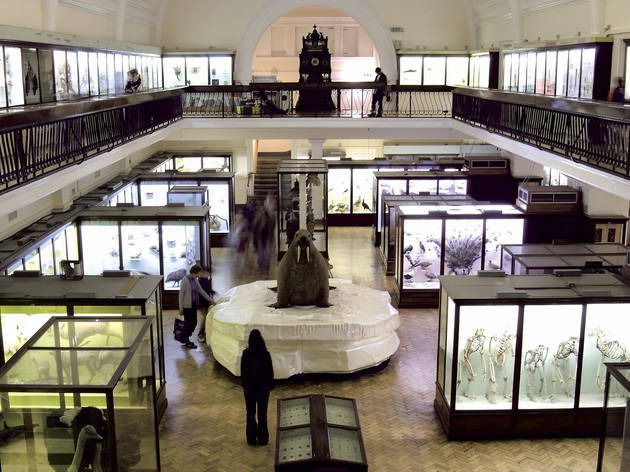 However, if you're quite local, have explored or the options on your own doorstop and are looking for somewhere knew or are lucky enough to be on the Overland line to Forest Hill, then The Horniman Museum and Gardens is a great place to visit. The museum itself is great, with regular temporary art exhibitions, as well as collections on natural history, music and so on. 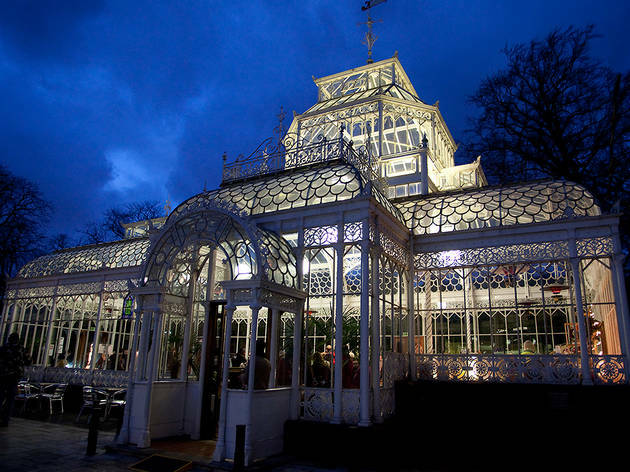 But for me the high-light is the gardens with its amazing view across London, lovely flowers (in spring/summer) and the stunning conservatory, which looks like a smaller version of Kew's famous glass green house. I would say the museum is more for children, but definitely enjoyable for adults, if you like that sort of thing - but if you don't have rug-rats to bring, best to go mid-week to avoid the noise, as it's a little like a children's playground on the weekend! This is such a wonderfully weird museum. You could almost compare it to a ginormous cabinet of curiosities. With every visit I keep on discovering new and extraordinary objects. A great place to visit on a boring Sunday afternoon. The gardens are incredible as well, for a moment you'd almost forget that you're in the middle of London! If you are planning to go all the way to Dulwich (quite a trek for a Hackney local like me) then make sure to include a stop at the Dulwich picture gallery in your visit. Definitely one of my favourite museums in London. An eclectic mix of taxidermy X science X art X random artefact collection. This place is just full of fascinating eye candies! Likewise the gardens seem to be beautiful, with some interesting thematic divisions – again, it looks perfect for a day out with children –, but unfortunately I could not really explore it as it was raining heavily. This is by far the coolest museum I have been to in London. Quite out the way in comparison to all the big guns, but well worth the detour. Full of taxidermy animals, including a HUGE stuffed walrus, this place is a melting pot of all things arty. There are temporary art galleries and a really cute little aquarium located under ground. The aquarium is the only part of the museum you currently need to pay for, but with prices set at roughly £3 per adult, it's not exactly bank-breaking! Plus, lifts and stairs make the museum accessible to everyone. A word to the wise though, if you like being in quiet kid-free places, you may need to bring some headphones and listen to music as there are generally a lot of the little nippers running around! This is one seriously cool place to visit based in south London and appeals to both adults and kids alike. If you’re a fan of natural history, culture and music and would like to spend a day marvelling at Mr Horniman’s amazing extensive collection by all means do make a trip down here. However its not the easiest place to get to; it’s quite a walk from the most nearby station Forest Hill and there isn’t any museum parking. However if you’re brave enough to drive you may be able to find parking in some of the nearby roads although this could be more difficult during the weekends and be aware the roads are pretty steep and hilly around there! There are plenty of activities for young kids and families and on some days of the week they have free lively busy bees sessions for under 5s that are a lot of fun and they even have occasional late night events throughout the year. The outside gardens are a wonderful place to relax and explore and offer spectacular views over the city. They are divided into different parts, I especially like the sound garden part where you can amuse yourself with the outside instruments, there is a bandstand and even an animal walk where you can get up close with some furry friends. I would love to return and explore the nature trail and meadow fields in warmer months. This is very family friendly with lifts and ramps that make a great difference in terms of access. The café has a good selection of foods and drinks. And the best part is that it’s free, although you do need to pay to visit some events, exhibitions and the aquarium, yes they even have an aquarium! A little out of the way but creepily beautiful. I love the stuffed walrus and it's amazing how well everything's been preserved. Fun for those 1-2 hours you'll be spending there. Regularly update their exhibitions with the walrus being a classic whoch has never changed! Beautiful grounds also to make a day of it! Grab your whip & your fedora kids, it's time to release your inner Indiana! Okay okay, I take it back - this is a family place so lose the whip...keep the fedora though. When somewhere boasting its own gardens, animals, tea shop, museum and flippin' stuffed walrus no less appears on a list of unexpected London places, it doesn't take long to work out that planning a day-trip there is a great idea and whether you have kids to entertain or just a hankering to try something new, the Horniman is exactly what you've been looking for. Full of dark corners, quaintly lit display cases and beautifully presented creatures & artifacts from all over the world, it's like dipping into the past and it's fabulous. Nowhere near as dauntingly big as its larger London cousins, it will take you a couple of hours at most to mosey around and I guarantee you'll find yourself marveling at things both familiar & strange as you wander through the rooms. FYI if you're normally a child free kind of Londoner, you may well find yourself surrounded by what seems like hundreds of them but actually, my inner old person quite likes the fact that they're there and not plugged into an arcade somewhere...err, they're still called arcades, right? Once you're done indoors, there are acres of grassy grounds to explore, a cafe from which to enjoy a chocolate walrus biscuit and a coffee, gardens full of envy-inducing home grown herbs & vegetables, one of the most beautiful conservatories I've ever seen, a bandstand with a sweeping London vista and an animal walk with rabbits & chickens & llamas, oh my! This would be a fantastic place to visit if it wasn't in London and you had to pay for it. The fact that it is and you don't? Well frankly, grateful as I am that you're still reading this review, shouldn't you be on your way somewhere now...? Very nice place if you have children. Highlights: a small but very beautiful aquarium in the basement and the (interactive) musical instruments section. 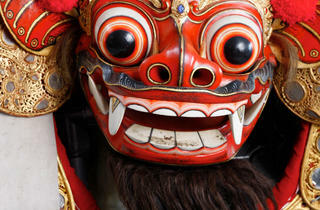 Regular free events for children, like a Balinese puppets show. The gardens outside are great too. Really one of the most excitening museums ever. I recommend it!! Especially families with kids. A real south London gem that many north of the river still don't know about! Come and visit the array of stuffed animals! Worth it for the walrus alone but seriously...best museum ever! The horniman museum is an amazing step back through time. Completely preserved (much like the taxidermy) in the golden age of the museum, the victorian era. The highlights are definately the walrus and the totem pole! A hidden treasure for families wanting to get away from the tourism masses in Central London. This lovely museum has just enough to keep kids entertained and the beautiful grounds and surrounding are perfect for having a picnic or a walk on a lovely day. The museum restaurant serves a variety of healthy food options and is well priced. Perfect for a family outing. 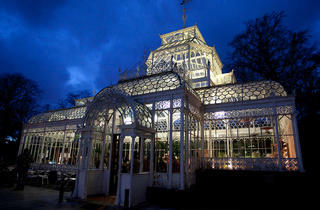 My favourite is the beautiful outdoor conservatory - lovely to have lunch or dream of hosting a private function there. My 5 year old son loves it and we love it too. A Middle sized museum I went to see their aquarium which was smaller than I would have liked. They have massive grounds outside though that you can visit for free and they have a little petting zoo. Where to start? I just am so glad we live near enough to take advantage of this amazing place. My children practically grew up in it - we went to see Rosie the clown at the bandstand every summer, sucking on icecream and rolling down the slopes - they took their first steps there! Then there were the fish in he aquarium, the stuffed walrus,a huge collection of musical instruments, and now the cafe which actually serves decent coffees and the toilets and sinks adapted for kids - the list is endless! I learned to dance the salsa, argentine tango and african dance and partied in the conservatory...I am a huge fan of this wonderful place! Really great museum! Lovely cafe with really interseting and interactive exhibitions. First time I've seen African history represented in such an original way. I had a great day out with my Mum at the Horniman Museum. The quality of the museum was fantastic, especially as it was free! I had an Arts Card so was able to view the Aquarium and Amazon exhibit for free but the entry charge was very reasonable. The Aquarium was both adult and child friendly and the Amazon exhibition was one of this best I have ever been to! Kids and adults will love it here - I'm 26 and thought it was great! Highly recommended it! This is my local museum which I adore, I love to see the huge 200 year old clock that comes to life at the hour. One other piece I love is the huge walrus, it was taken to Brighton hove museum this summer but should be in its rightful place now. very good! and for free children enjoyed very much would go again! 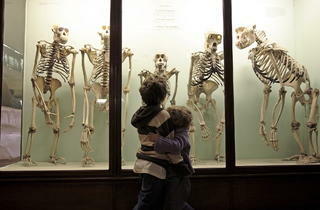 I love the Horniman Museum - there are so many unusual pieces and the collection is vast. It's an underappreciated gem that I encourage more people to seek out. You certainly won't be disappointed. And the gardens too.....! Over the last year or two the gardens have also been developed and expanded this museum’s charm. 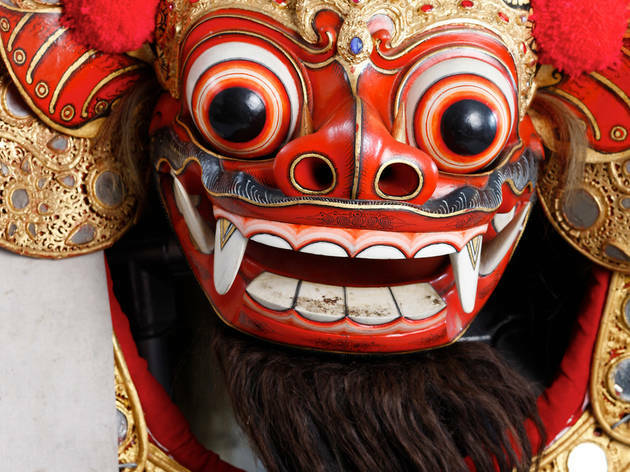 As with the best glove puppets that turn inside out and show a different character... the Horniman is ready to entertain and educate in an increasingly variety of ways. The wonderful gardens are laid out in a walled terrace that in the early summer was redolent with block planting of wallflowers - forever my summer favourite with gorgeous heavy perfume and vibrant joyous colours. Around the beds were planted ‘useful’ plants, used in dying and medicines, a rich and extensive chemistry set for dozens of ancient uses. So much to recognise - or not - in these no longer hands on times…….those were hops that were strung around the rope swathes….. “No not for bunny rabbits – for brewing beer!” Wandering around the garden, we find the music-making playground, and a chance to make pleasantly sonorous rhythms, with a variety of elegantly framed xylophone-type musical sculptures, which are splendid to look at, and sound really not too bad!...How is it that lots of parks don’t have these in a corner of their play areas? There is more to enjoy – but let’s leave something for you to discover – and that’s the beauty and fun of it – lots more to entertain…and not a fairground ride in sight….Now that’s entertainment! 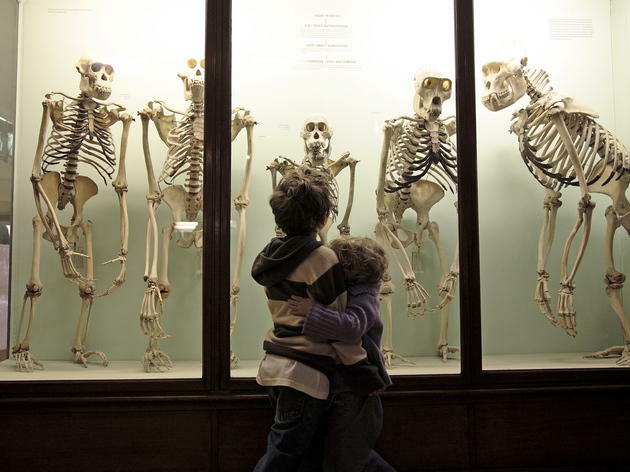 I have got to know the Horniman over the last 4 or 5 years, in the company of a young child - who every few weeks seeks out the familiar and novel thrills and excitements of this lovely family museum. These include the perennial 'number 1' choice of attractions - the beautifully arranged aquarium, with the reliably ethereal, mysterious, exotic and fascinating jelly fish, who enthrall and soothe to quietly calm the excitable bouncing child.... We then count the tropical frogs, smile at the seahorses curling their tails round the weeds, and watch the anemones extend tentacles looking for their food.... Another favourite is the music gallery - with every instrument you could think of displayed in the floor to ceiling cabinets, numbered and labelled. There is magic here too! Childrenand sit at the long table in front of the cabinet, and use the technology to play the instrument, check it's number, and cross reference it easily with the actual instrument example in the cabinet. The number of wind instruments, drums. and other types that have been collected and organised in this way is such a stupendous 'teach yourself the history of music' lesson, that it fascinates the adults and children equally... though in slightly different ways.... !! The children press the buttons, making the instruments play as they come into view on the sliding diagrams, pick out the shapes in two-dimensional pictures, as they 'match' the numbers with the three-dimensional - while the adults are amused and astonished as they match the sounds to the archaic (and not so archaic) instruments. Over the last year or two the gardens have also been developed which has expanded its charm. As with the best glove puppets that turn inside out and show a different character... this place is ready to entertain and educate in an increasingly variety of ways. variety of and draw to turn it into a superb summer day trip - as the with dashes into different parts of the museum at intervals. A Museum for children - a heavenly mix of curios, anthropological wonders & stuffed animals. The cafe and grounds are reasonable enough to satisfy. I love looking old dead animals in they eyes, which is why I love the Horniman. Here we have a museum that lacks pretension or anything that might be considered - wink-wink - quaint. You've got your taxidermy, your exotic musical instruments, your African relics and other anthropological curiosities, all housed in an Arts and Crafts bauble with an ornate glass hothouse out back. Go when it's snowing and combine cultural edification with sledging. 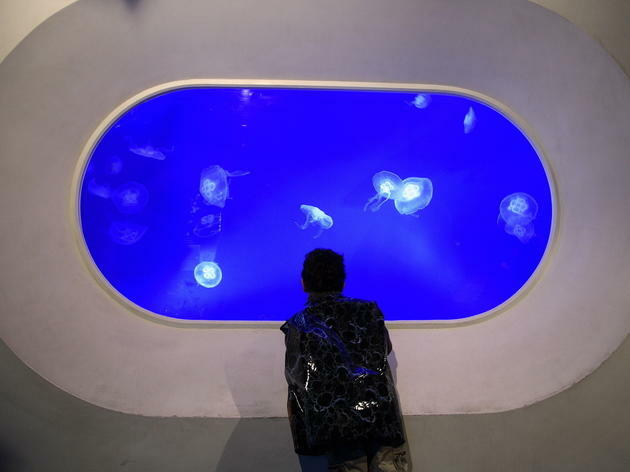 I have been to this museum since my child was 3 years old and now he is 9 years old, he still remembers how amazing aquarium, little farm and park is with relaxing park to have your own picnic. He enjoyed doing slop ride when it was snow time. It is bit strange they are charging the price now but we always love to go there when we get chance. We have inspired many families and family friends and they have enjoyed it immensely as this is the best place to go for multi treats under one roof. The Horniman is one of my favourite museums in London - a far cry from the inexplicably popular, stuffy, overpriced Madame Tussauds and the London Dungeon, for example. It may be a bit of a trek to get to, but it's worth it. 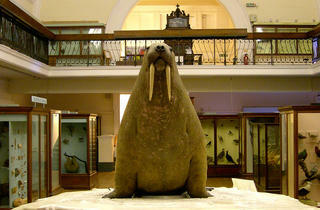 It's fantastic collection of weird and wonderful exhibits (GIANT WALRUS! ), and, what's more, it's free! 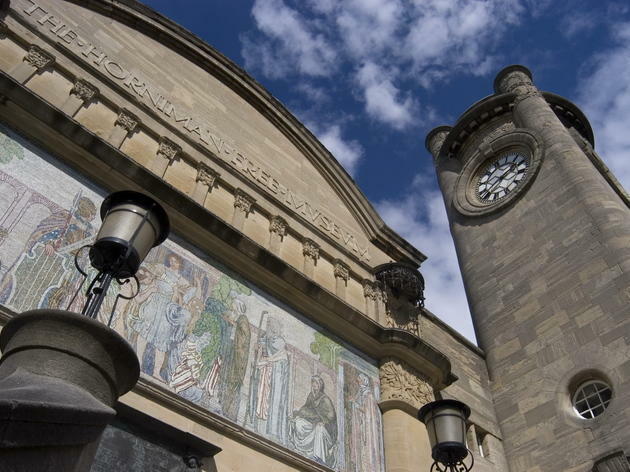 Avoid the tourist traps, save your money and pay a visit to the Horniman if you want to see quirky London at it's finest. Horniman is an amazing place for kids even as young as mine (2 and 3). Staff are super friendly and suggest up and coming activities to go to. There's no pressure to be quiet, and a real encouragement to explore. Gardens are beautiful, the cafe does a wide range of great food, and the aquarium small enough to keep little ones interested. take the kids there, they will love it!! I remember visiting the Honiman Museum and lived in Forest Hill in my younger years. I now live in USA and would strongly advise any to visit this wonderful place with so much history, culture and beautiful gardens. A must see if you want to plan a day out with the family, full of surprises and will not hurt the bank balance!! Excellent museum. Considering it's free, the exhibits are very well put together with topical and interesting themes. There are ample areas for toddlers to run around in and all of the staff I met with were extremely helpful and polite. The acquarium is small but fantastic, my daughter adored it. The gardens are very well maintained. Highly recommended for a very satisfying day out with a young demanding child! Great place especially if you have kids. Fantastic view over London as far as Battersea and Wembley! Brilliant gardens in the summer.